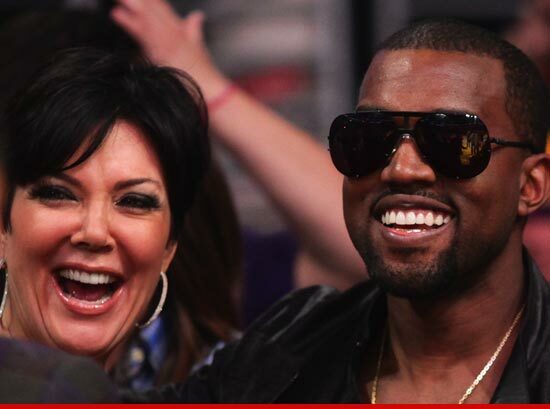 Kanye West just revealed a picture of daughter North West ... for the finale of Kris Jenner's talk show. It's classic Kardashian -- The show will air Friday -- the last day the show is on the air. Kris wants a huge rating that day, because Fox will be making a decision on whether to pick the show up for a full series -- something she desperately wants. The pic was flashed on the screen for a brief second, so no one in the audience could sneak a pic from the monitor. We're told the pictures will last a lot longer when the show is put together before it airs. Kim and Kanye had initially decided to either give the first pics to a fancy magazine or release it on social media. They also toyed with the notion of raising money for charity, but ultimately decided that charity begins at home.